Once guests step into the compound of Villa Impiana 1, they immediately fall in love with its simplicity, beauty and elegance. 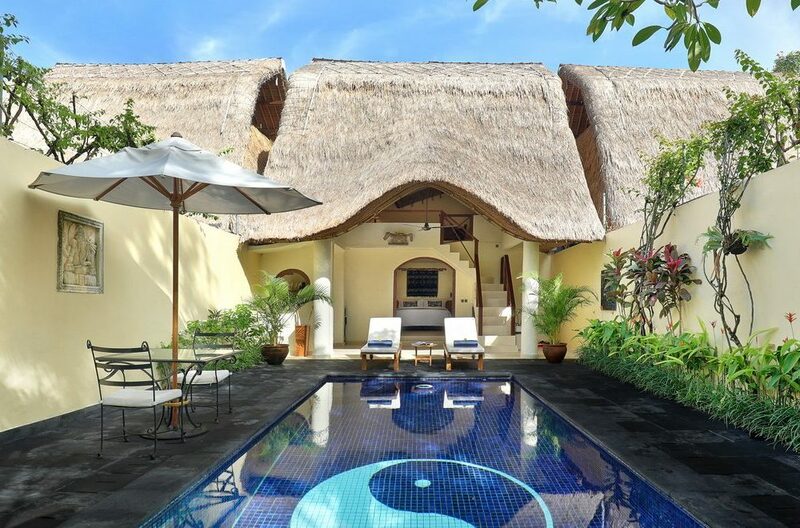 The quaint cream colored bungalow with its thatch roofing overlooks a stunning rectangular pool which has the familiar “yin and yang” symbol emblazoned into its floor. Lining the fence by the pool are exotic flowers, shrubs and trees, and on one end of the pool is a sun deck with lounge chairs which is just perfect for sunbathing on lazy days. The living areas of Villa Impiana 1 is just as inviting as its outdoors. It is simply but tastefully furnished with lovely wooden furniture and beautiful pieces of art. 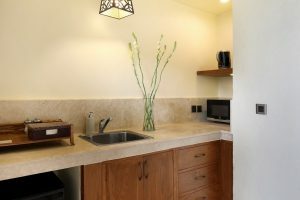 The villa boasts of a well-equipped kitchen where guests have all they need to prepare their own meals or have the villa chef prepare something tasty for them. For dining, there is a two person dining set just by the pool. Seated here, guests can indulge in a lovely outdoor dining experience with the stunning view of the pool and the gardens surrounding them. 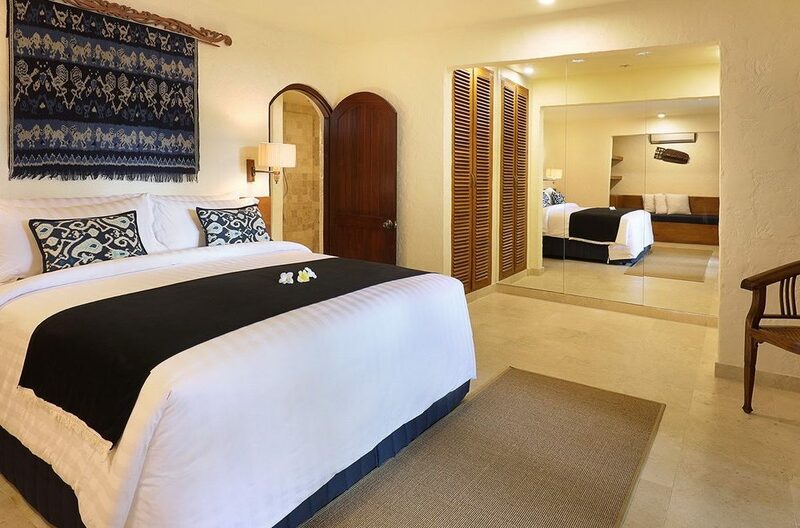 The bedroom of Villa Impiana 1 is as luxurious as it can get. 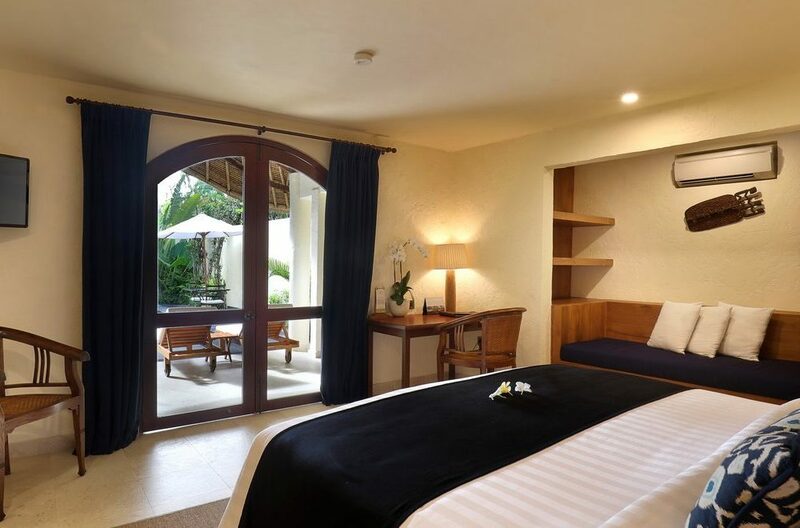 It boasts of a king sized bed, air conditioning, beautiful works of art and a gorgeous ensuite bathroom. Beside the bed is a loveseat which is perfect for guests to curl up and read a book in the evening or watch some TV. 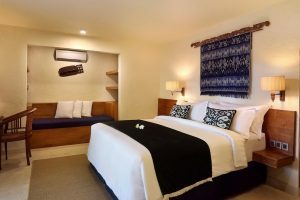 The bedroom is spacious and can accommodate two persons comfortably, making this the obvious choice for couples. The ensuite bathroom boasts of a rainforest shower and all mod cons to ensure the comfort and convenience of guests. 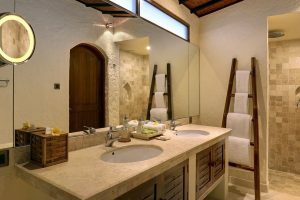 At Villa Impiana 1, guests enjoy the dedicated services of daily housekeeping, pool and garden attendants, coupled with complimentary tea and coffee. The staff is courteous, unobtrusive and on hand to help ensure that guests have a lovely stay at the villa. 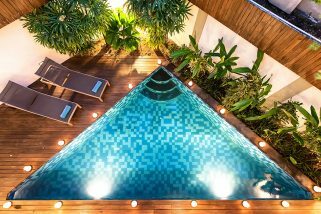 Cendrawasih Villa offers guests a hi-tech boutique hotel feel experience. 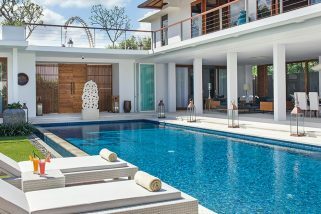 A large, open-air living space surrounds the perimeter of the garden and private 18-meter lap pool. Villa Lilibel is a luxurious 6 bedroom villa located just 300mtrs from the beach and boasts the Oberoi district postcode to boot. 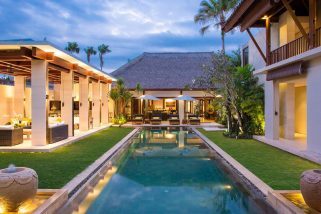 100 meters from Seminyak beach, Superb 3 bedroom pool villa with modern furnishing, prime location Seminyak, close to cafes, bars, restaurants, and shops.